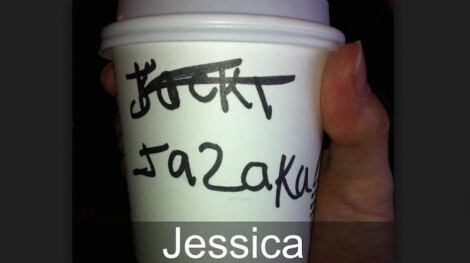 It took them two attempts to spell Jessica that way? That is just sad and I would like to meet this barista so I can slap them! I never knew that Jessica was such a hard name to spell, but I guess I am wrong. This barista was closer with their attempt, but a little off with some of the letters!